, at Fuel Cafe Bar in Withington tonight. It’s a free show, and doors open 7.30/8pm. 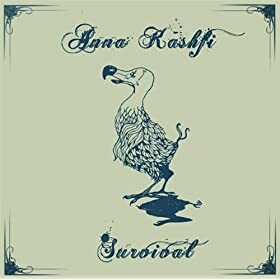 I’m really looking forward to the gig – it’s been a while since I’ve seen Anna Kashfi playing live, and it will be good to hear tracks from the new album. The album is available to buy from Amazon.co.uk , or you can listen to and download the album as an MP3 . Was really chuffed to get this review from Manchester Music. It’s of an unknown demo with two tracks on it… God knows what that was then 🙂 It could be “My Mind’s Eye”, which is currently my first track on my Myspace siteIt’s described as intriguing and (very) recommended. Thanks Manchester Music people!